Last November, 2012 running friend Jake wanted to do a different kind of run and picked Tomales Point since he had such fun hiking it before. 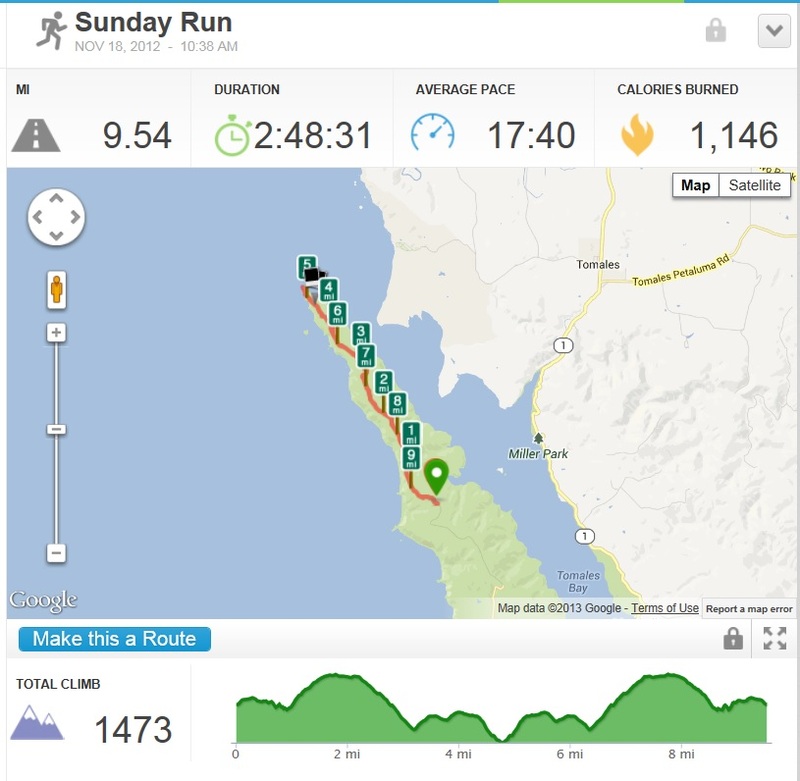 The run is a 10 mile out and back from the last public place to park at Pierce Point Ranch all the out to Tomales Point. The terrain is mixed road, dirt trail and sand as you get near the point. You can expect to meet hikers and tule elk. Total elevation change is an interesting 1473 feet since there were not many steep hills so much as many rolling hills; so the elevation sorta sneaks up on you. The views on the sea side are just breathtaking : looking out on expansive ocean from sea cliffs. On the bay side you can see the occasional kayak, seal and homes on the land side. A truly great place to run or hike with the family.